Add a rugged touch to your warrior ensemble with the Brown Studded Leather Bracers. These brown leather bracers have a large chevron pattern stitched into the surface, with each corner and point accented with a round stud. 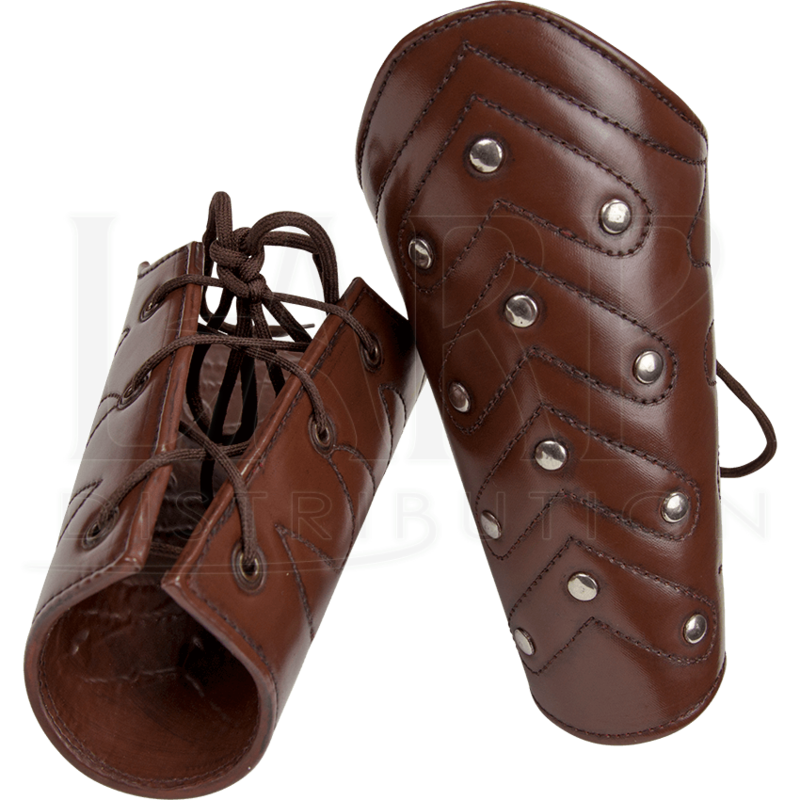 These medieval fantasy bracers are sold as a pair, and each laces up the back with adjustable cord. Designed to fit over the lower arm, the structure of each brown bracer grows wider near the elbow, ending in a rounded upper edge. 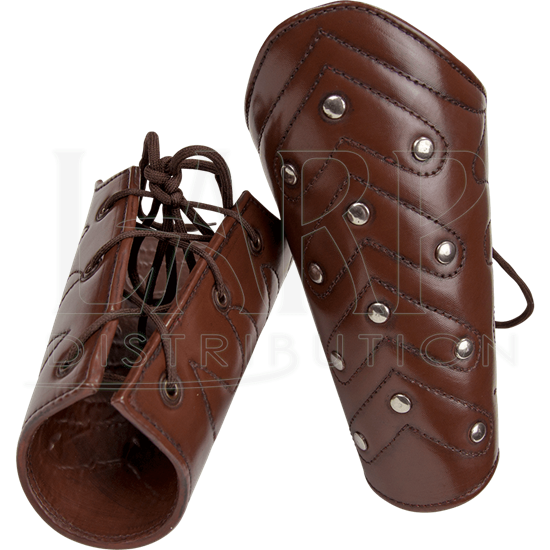 These handcrafted leather bracers are perfect for adding an armoured element to any outfit and easily match a variety of other armour pieces.